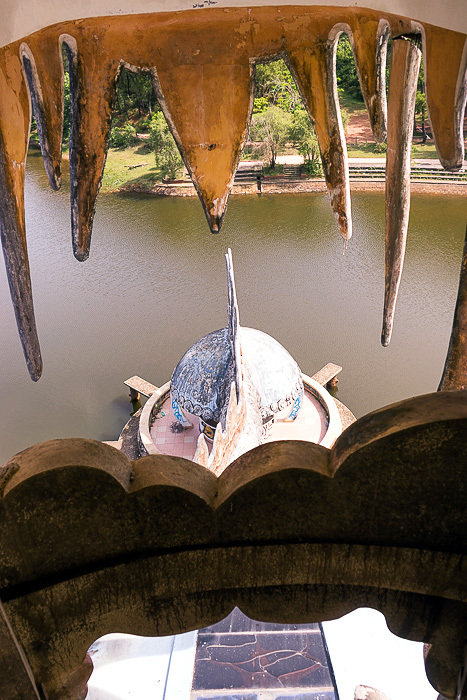 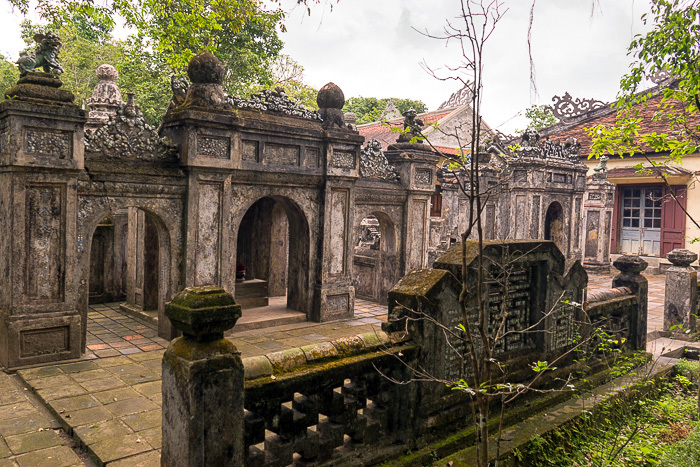 Imperial tombs are not the only thing to see in the hilly, forested landscape to the west of Hue. 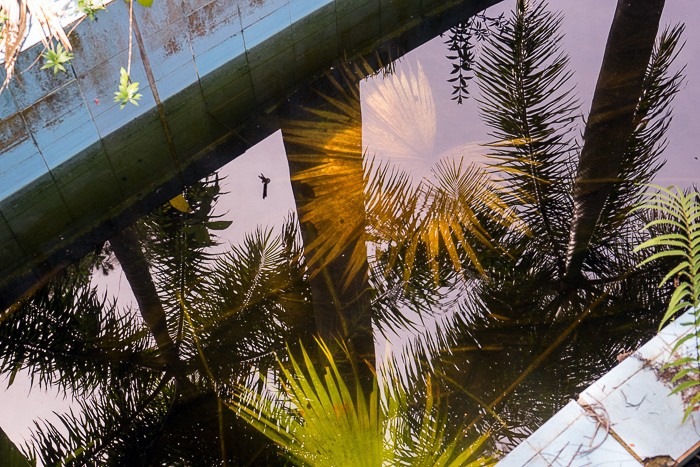 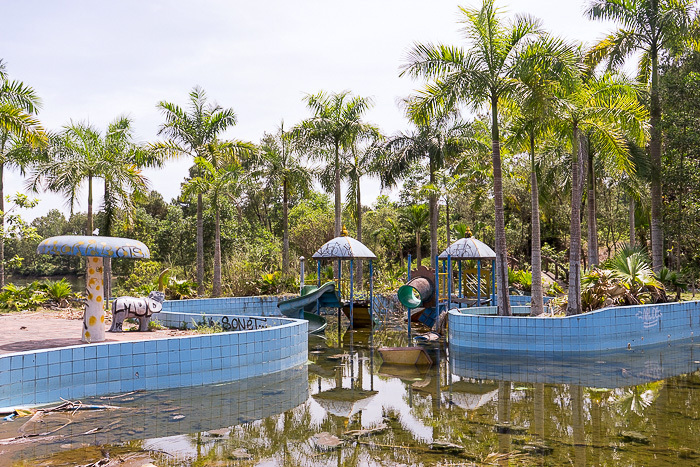 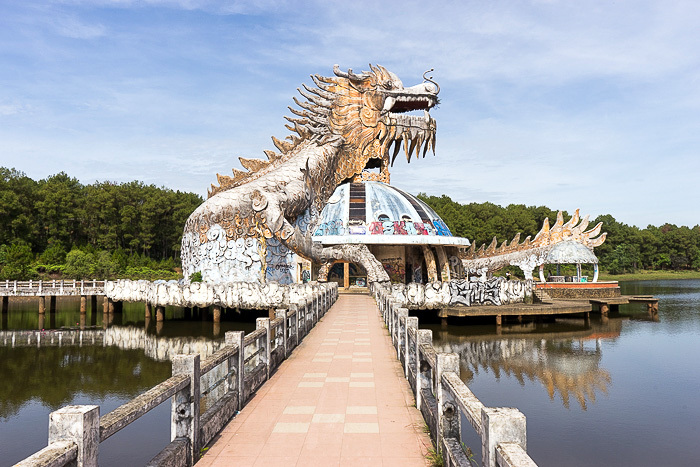 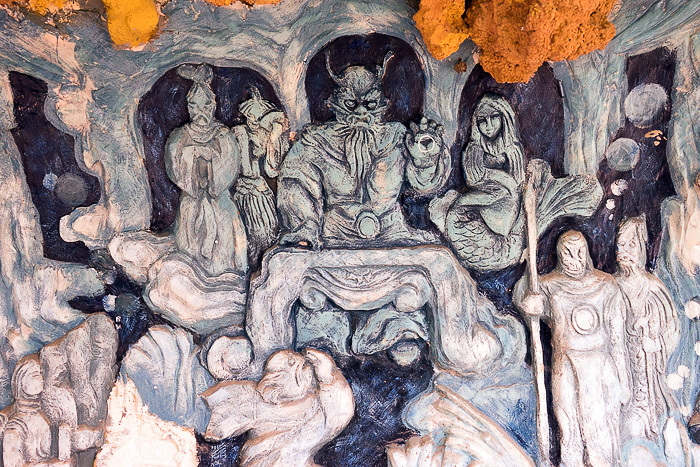 An abandoned water park provides a totally different experience… although I suppose, Thủy Tiên is just a grave of another kind. 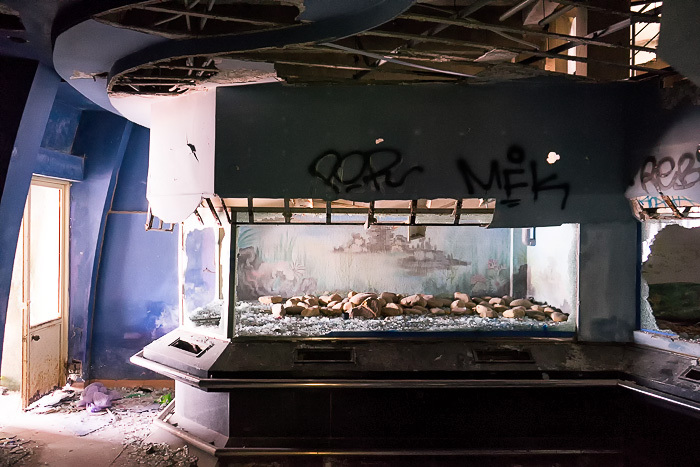 Normally, when visiting an abandoned attraction, you expect to be all alone. 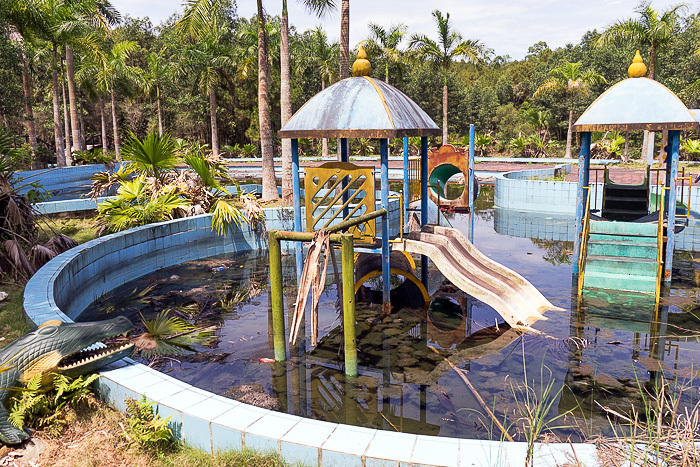 The word “abandoned” kind of demands it! 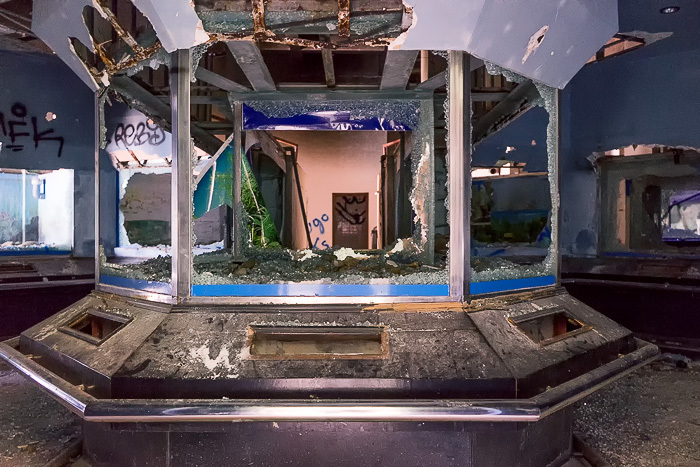 And such places have provided us with some incredible memories, whether it was the shuttered Hotel Evropa in Macedonia, the Sunset Waters Resort in Curaçao, or Busan’s Snow Castle. 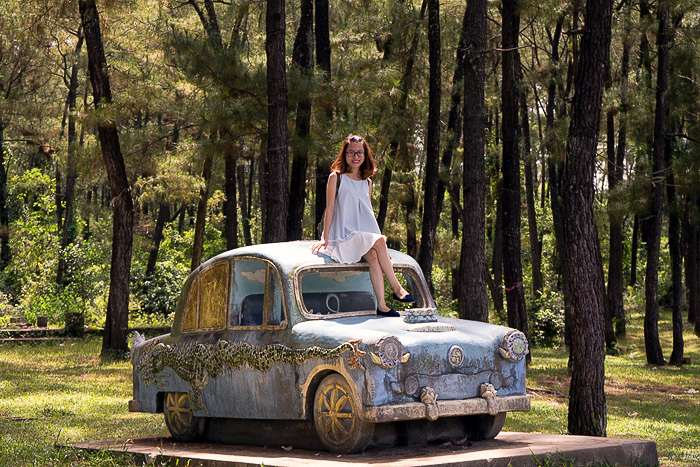 So we were surprised, and not in a good way, when we pulled into Thủy Tiên and discovered a parking lot with an attendant accepting a fee. 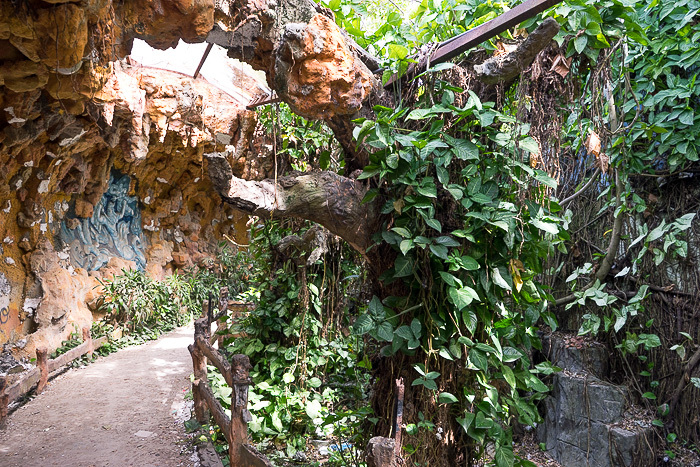 For this particular “hidden gem”, the cat was out of the bag. 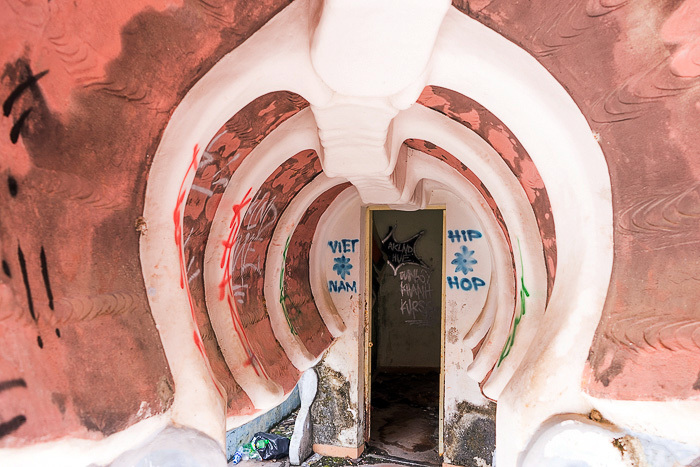 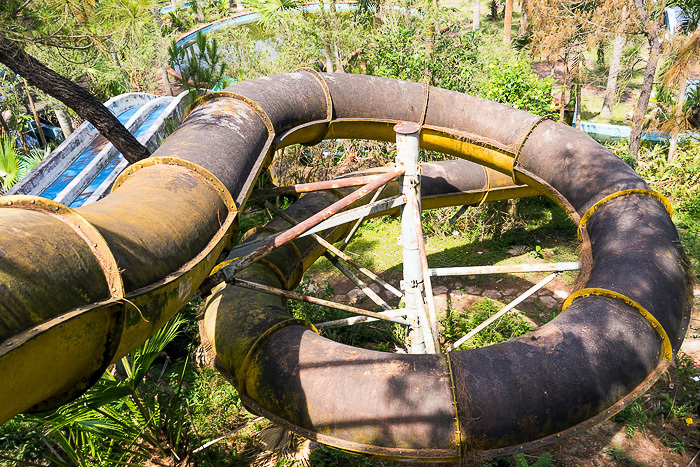 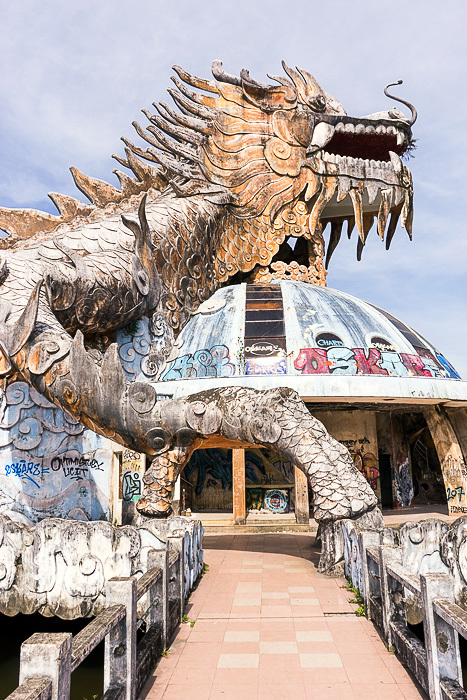 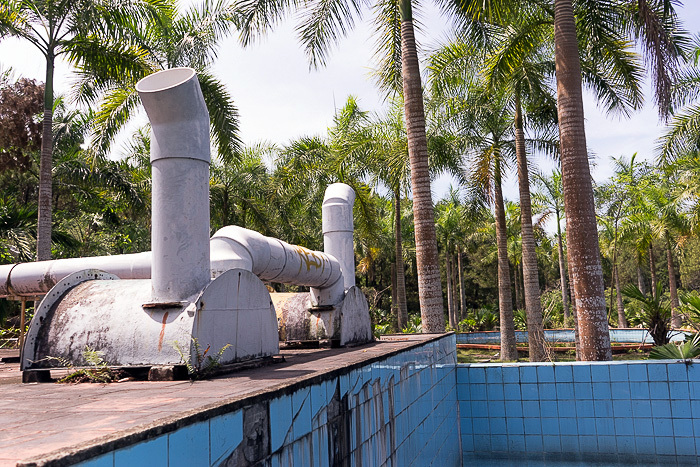 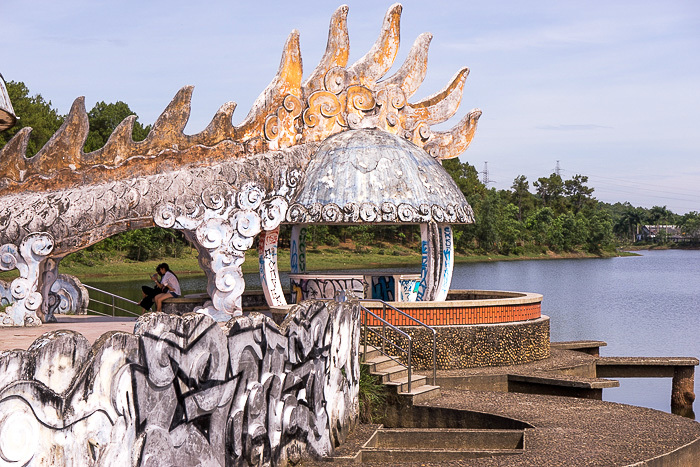 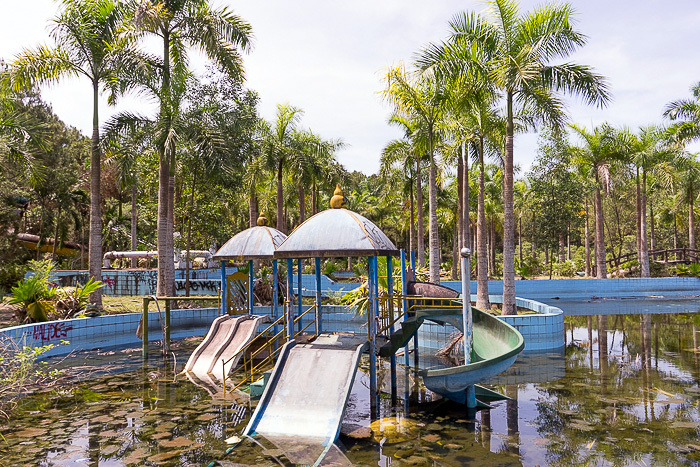 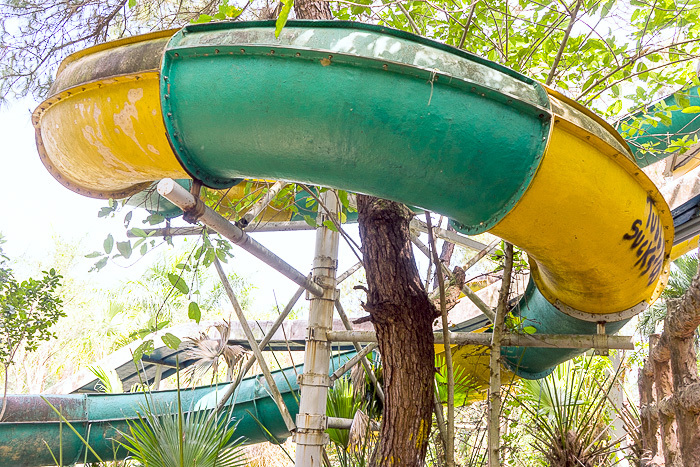 At some point, Hue locals realized that tourists seek out places like abandoned water parks. 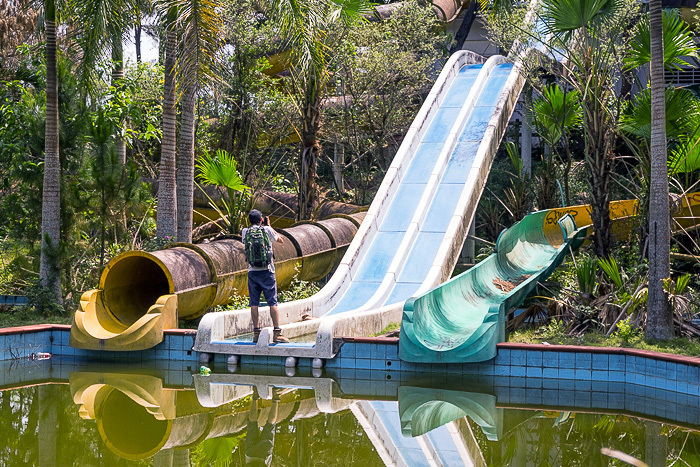 I’m sure this confused them, but if there’s an opportunity to make a buck, they aren’t going to second-guess it. 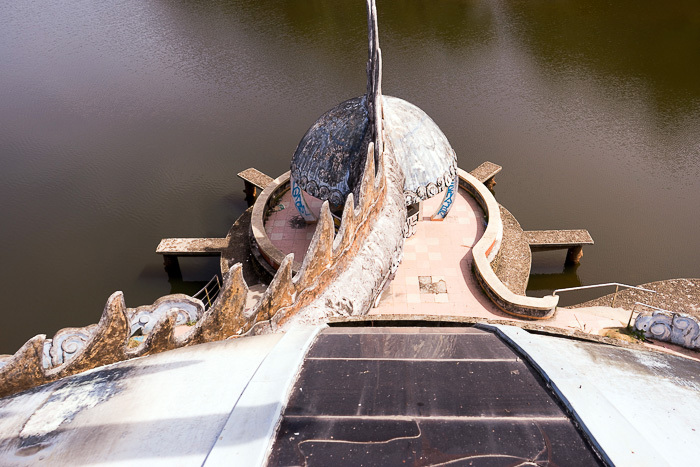 I won’t lie. 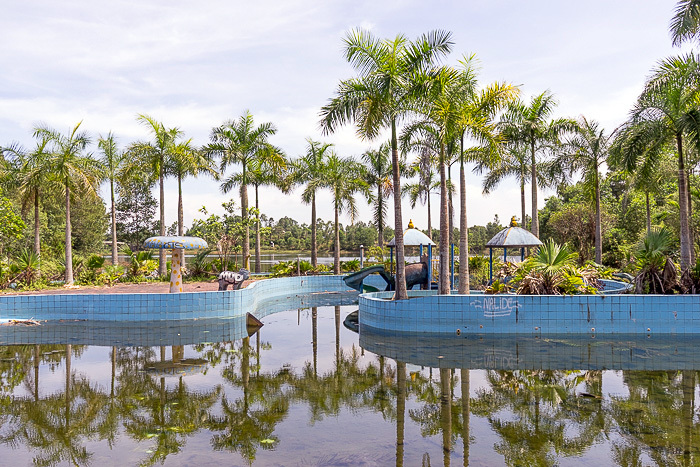 The empty, half-collapsing amusements of Thủy Tiên were far less compelling with the presence of so many other foreigners and selfie-snapping Vietnamese. 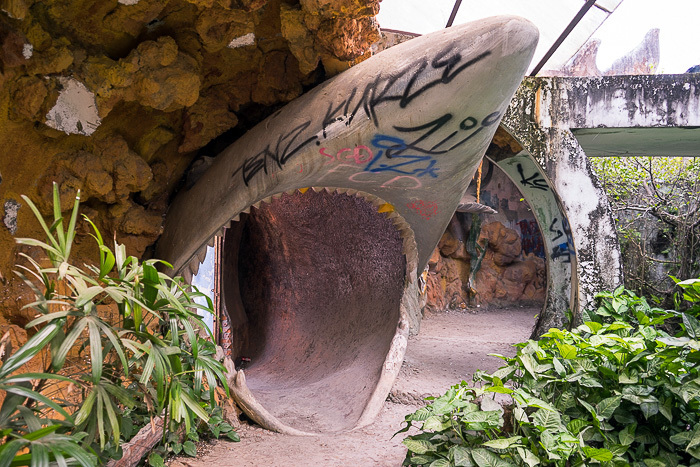 But, they were still cool. 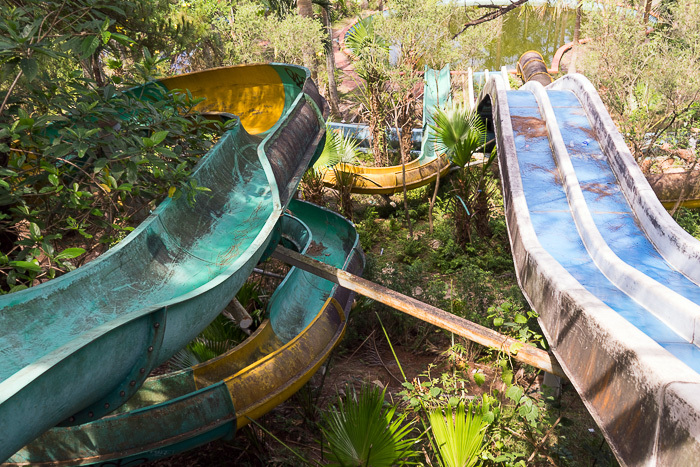 The park opened prematurely in 2004, when it was still in a half-finished state, and was an utter failure. 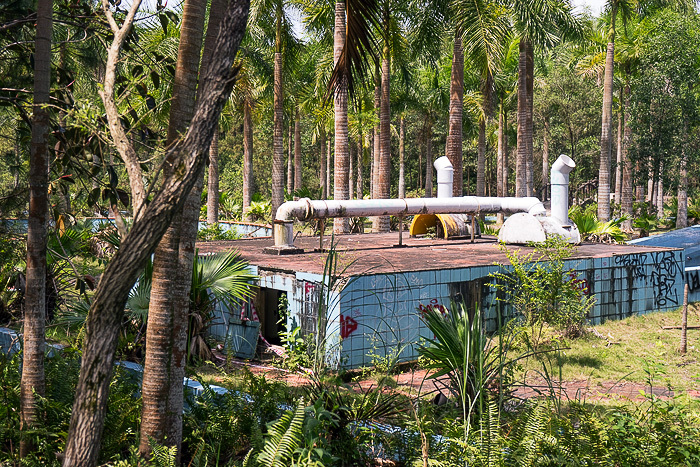 The project was immediately dumped, and in the years which followed, the jungle wasted no time in reclaiming its land. 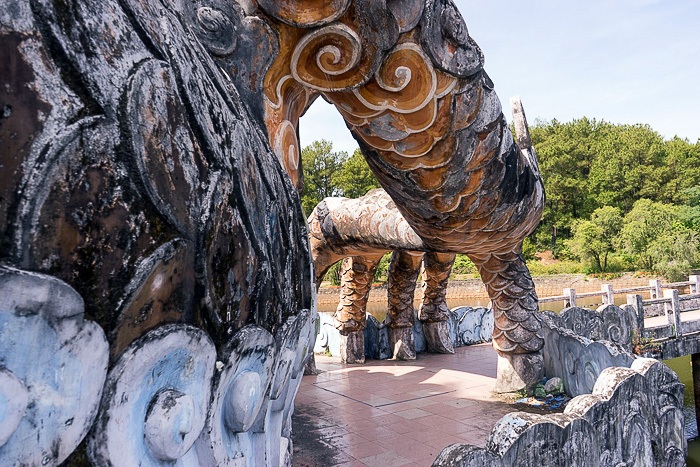 The park’s centerpiece, an enormous dragon, is its most interesting feature. 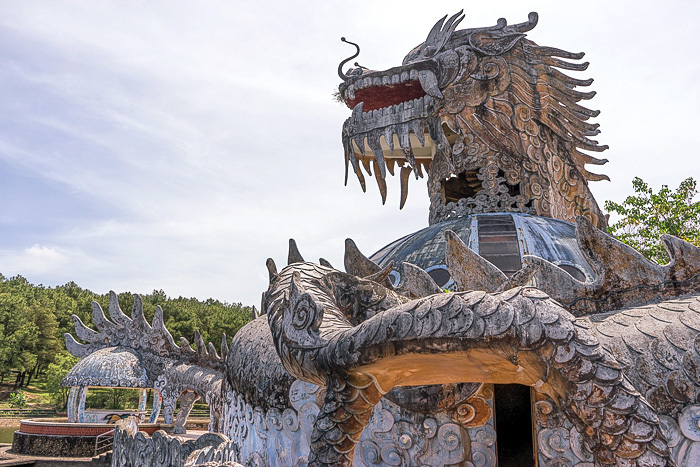 You can walk through its rooms of shattered aquarium glass, climb to the top, and peer out the dragon’s maw. 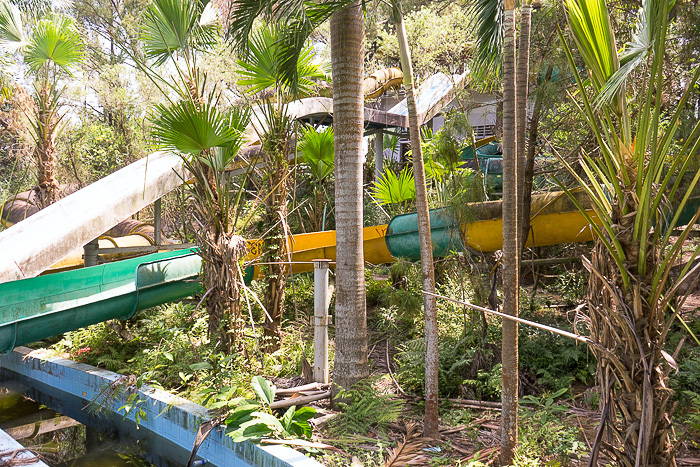 Further around the lake, there are some water slides overgrown with vines and littered with leaves. 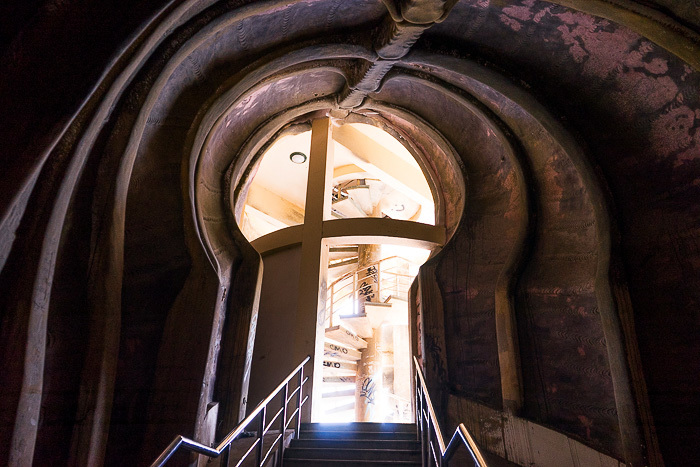 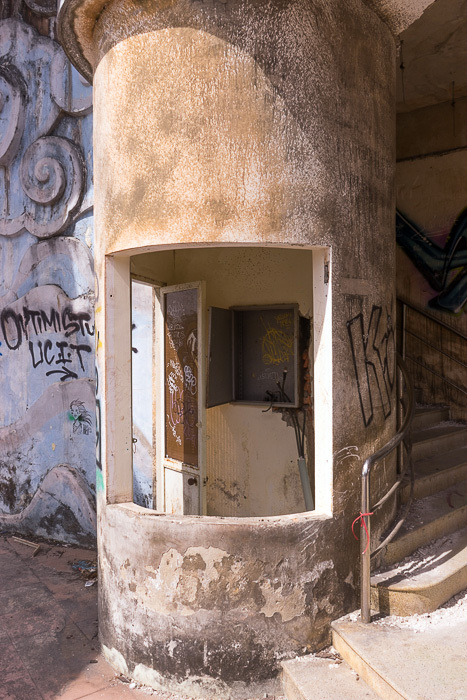 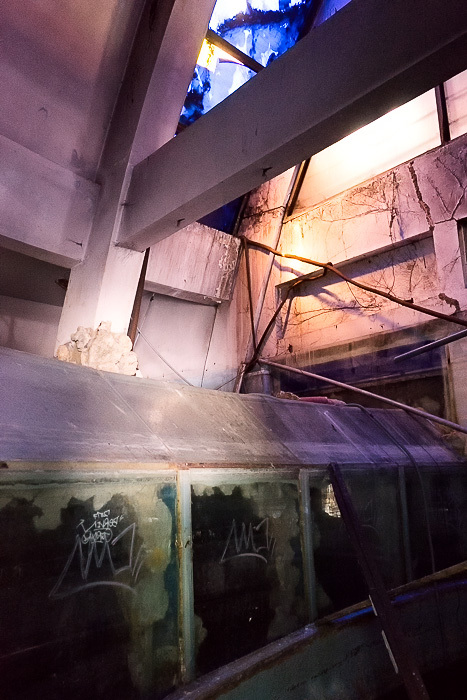 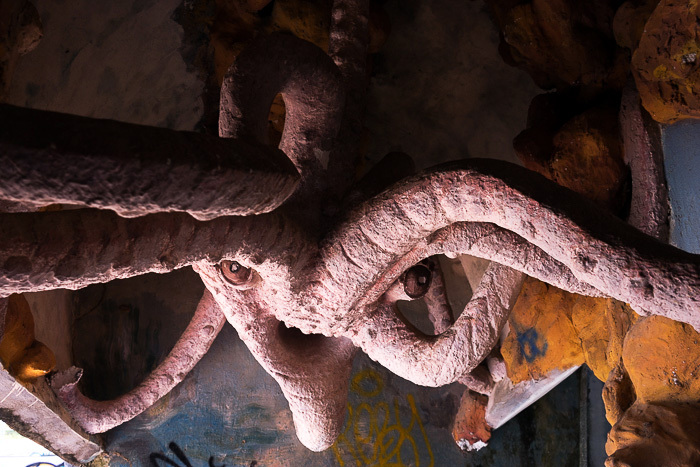 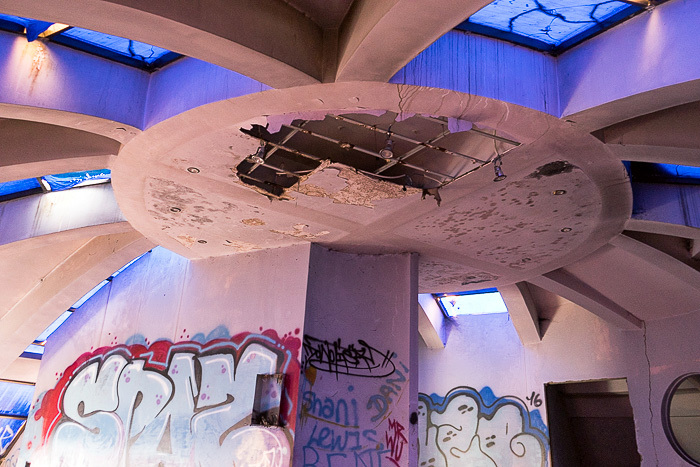 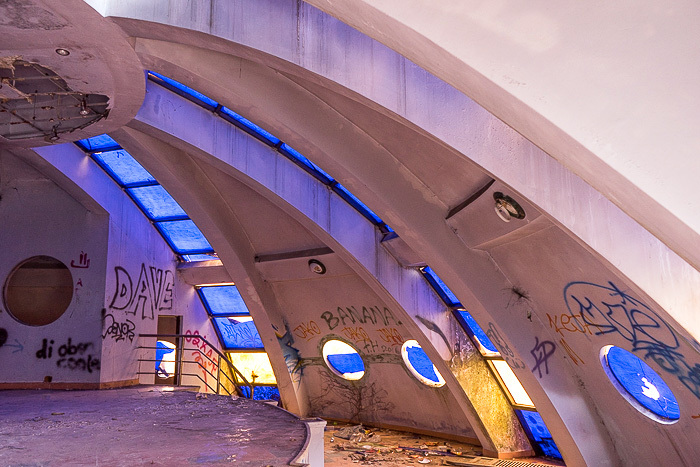 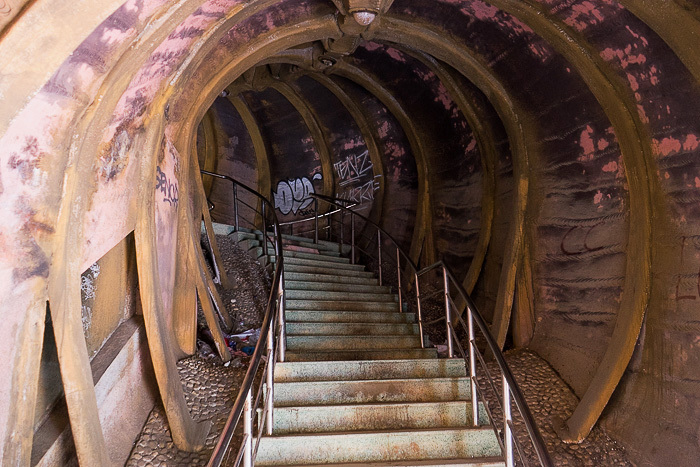 It’s a strange place and, if you’re intrigued by such forsaken modern ruins, worth a look. 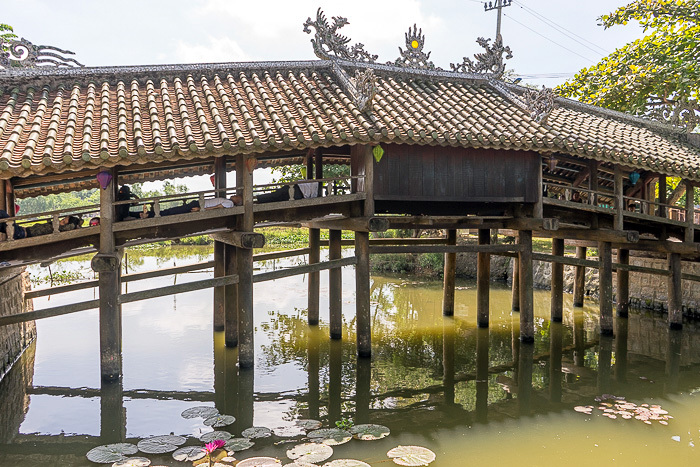 Just don’t expect to be alone; Thủy Tiên seems to be more popular in death than it ever was in life.